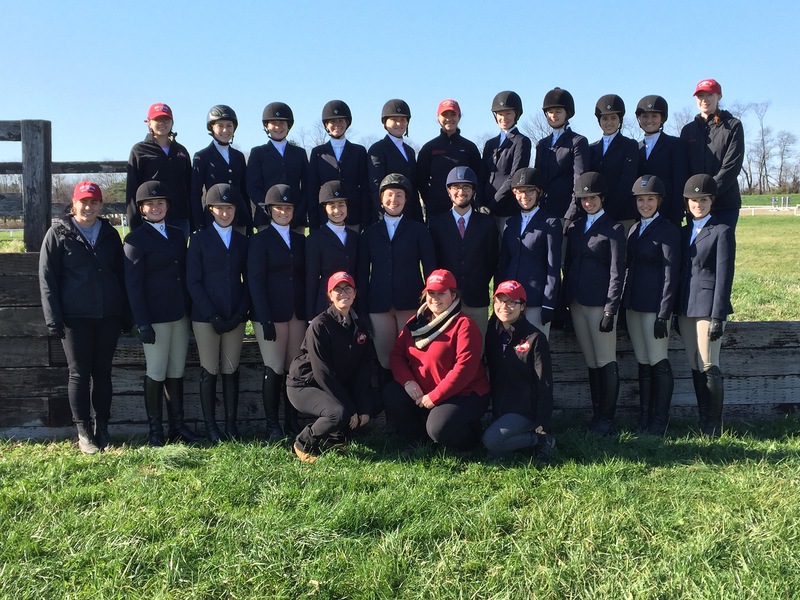 The Dickinson College Equestrian Team is a Club Sport at Dickinson College, a liberal arts college located in Carlisle, PA. The Team was originally formed in the 1930s and its presence was intermittent in the college’s history before being firmly reestablished in 1995. Since 1995 the team has grown exponentially. Originating with approximately 5 members, the team now boasts a membership of 35 riders. 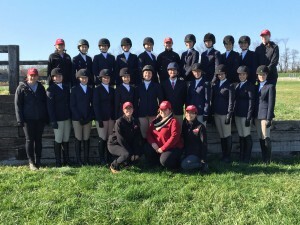 The purpose of the Equestrian Team is to give Dickinson students the opportunity to work with and ride horses, both competitively and non-competitively. Through funding by Student Senate, the team offers students discounted riding lessons and the ability to show in the Intercollegiate Horse Show Association (IHSA). Competition in the IHSA is not required and only a small percentage of team members compete regularly. The majority of members ride regularly, participate in team activities and support our competitors at horse shows. The team rides with Coach Lindsay Vulich at Hollyhurst Farm, in Carlisle PA about 15 minutes from campus. Team members ride horses provided by Hollyhurst and our Coach, and several students board horses at the farm. For more information about both our Coach and the facility, please refer to the links above.